Inspired by the folklore of the country of Bohemia with its forests, castles, legends and fairy tales, the composer Ted Scotto created a new music on which evolve the romantic tzigane violin and jazz manouche guitar to which is added a slight symphonic touch. Let this music take you away to these countries so near and so unknown. The musical colors of the country of Bohemia will foster the daydreaming, the escape and the relaxation. We are pleased to make you discover it on Radio PLENITUDE, every day, from june 2 until june 15, before it enters in a regular programming. 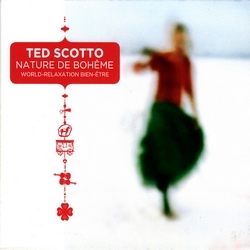 Nature 3 by Ted SCOTTO, album december 2015, listening on Radio PLENITUDE from december 28, 2015.